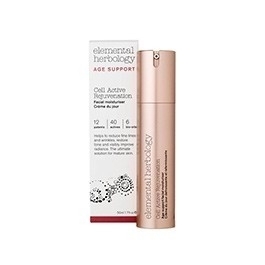 Provides the ultimate support for mature skin. Helps to increase radiance, improve the appearance of fine lines and wrinkles and intensively moisturise the skin. LIFTONIN® and LANABLUE® (Blue Green Algae) helps improve the appearance of fine lines and wrinkles. AQUARICH®, a 24 hour moisturising complex helps to lock moisture into the skin. Hexapeptide-11 and Palmitoyl Tripeptide-38 help to plump and nourish the skin. Vitamin C and Apple Serum help to stimulate cell turnover and make the skin appear brighter. Omega Sacha Inchi, Argan and Rosa Mosqueta oil rich in Omega 3,6 and 9 help to hydrate and soften the skin.